I have long wanted to sell off SoilBuild Business Space REIT almost 1 year ago. Recently, I have divested all my holdings of SoilBuild Business Space REIT. Without dividends, I have made a loss of 11%. 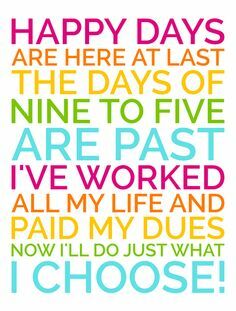 With dividends included, I have made a profit of 9%. Below are my reasons for selling of SoilBuild Business Space REIT. As we know, two tenants have defaulted over their rent (72 Loyang Way and NK Ingredients Pte Ltd). Blame it on poor economic outlook or collapse of marine oil and gas sector but as I wrote previously, 11% of Soilbuild Business REIT tenants are in the Marine Oil and Gas sector. This puts SoilBuild Business Space REIT in a high risky position should more tenants default their rent. Distribution Per Unit declines quarter on quarter. Given the declining share price and declining distribution, there is no reason I should be keeping this REIT. I am selling SoilBuild Business Space REIT as I have spotted something better to buy which I shall write in my upcoming post. If you have subscribed to email news alert from any of the REIT’s website, you may occasionally receive email announcements like the one below. Sometimes, it gets really frustrating that the announcement title does not indicate whether the substantial unit holder is increasing his holdings or selling his shares. Today, upon receiving the above email announcement from SoilBuild Business Space REIT, I decided to check out Spiking which is a new mobile application I downloaded recently. Look what I found. Temasek Holdings (Private) Limited has sold 50K of SoilBuild Business Space REIT at the price of S$0.68 per share. Usually when a big shareholder such as Temasek Holdings (Private) Limited dump their shares, it depress the share price of the company. Looks like SoilBuild Business Space REIT share price may go on a downtrend in upcoming weeks. 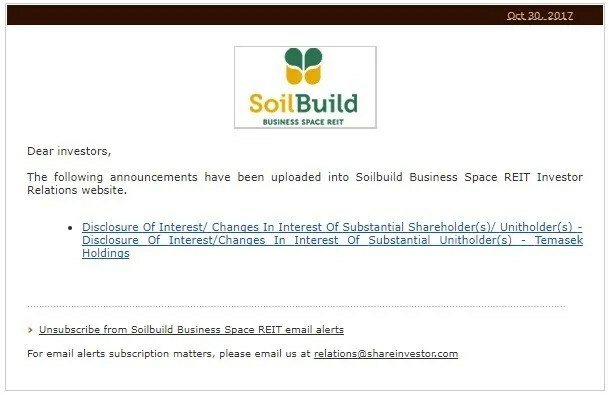 Another bad piece of news for Soilbuild Business Space REIT investors out there. NK Ingredients Pte Ltd, the sole tenant for 2 Pioneer Sector 1 has defaulted on its rent. If you do not know, NK Ingredients Pte Ltd is one of the top ten tenants contributing 5.8% of Soilbuild Business Space REIT monthly gross rental income. Soilbuild REIT has called upon the insurance guarantee today. The balance of the insurance guarantee of S$1,689,556.67 is equivalent to approximately four months of rent. The stock price reacted to the bad news and plunged from $0.73 to $0.69 before closing at $0.70. It seems that I am a bit late in running now.